The 2004 International Show was held in March in Blair's auditorium. 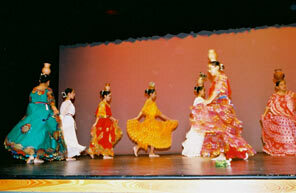 Traditional dances and music that characterize many cultures around the world were the focus of this year's show. Like other years, this year choreographies were created and performed by Blair students. The Chinese Club opened the show with their "Bamboo Flute Dance" performed by a young group of girls who wore traditional white outfits. Following their act was the Hispanic Club, which this year had three performance in the show. The Hispanic Club's first dance consisted of Central and South America dances; their second act illustrated the traditional dances of the Caribbean, which included Bachata and Merengue. Their third was a continuation of the folkloric Caribbean dances. Next it was the turn for the Cambodian Club, with two different acts. The Cambodian Club opened their first act with a scarf dance, which was traditionally danced by shy women trying to charm men. The African and Middle East Clubs also made appearances with lively music and dance. The Vietnamese Club kept the excitement and energetic feeling of the show with their performance called the "Viet Project." After them, the Indian Club's synchronized dance calmed the down the fast pace of the show. The show ended with cheers and applauses by the audience who left very satisfied. 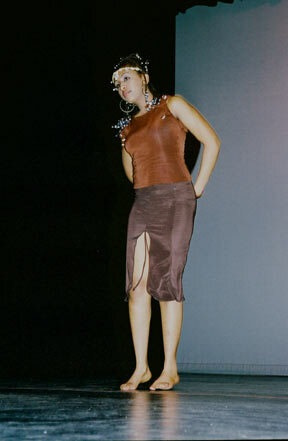 Telile Tolossa presented a dance called Oromo from Ethiopia. 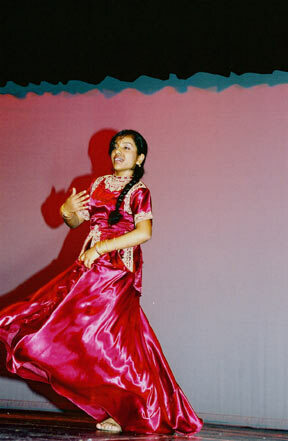 Meenakshi Singh presented an Indian dance that was a mixture of traditional and modern.